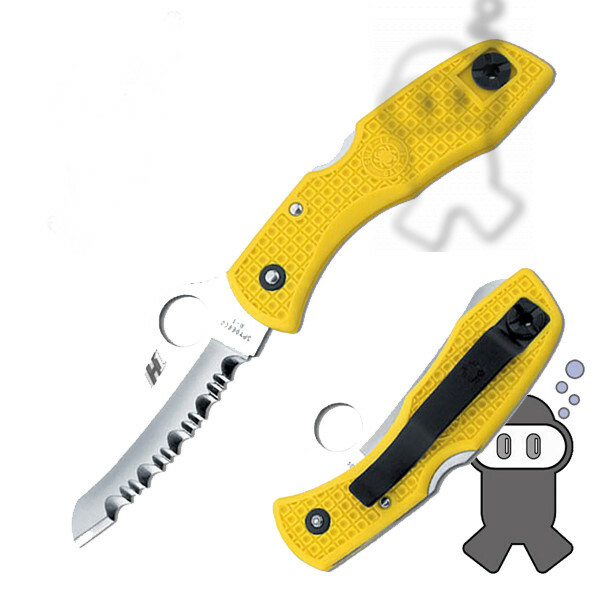 Spyderco's Rescue knives are long favored by seafarers and the design has since been embraced by rescue workers, EMT's and ranchers-anyone cutting around flesh in an emergency. Now available in a rustproof version, the Atlantic Salt is a modified Rescue made with state of the art non-rusting H1 steel. H1 is a precipitation-hardened steel containing nitrogen instead of carbon, which cannot rust. 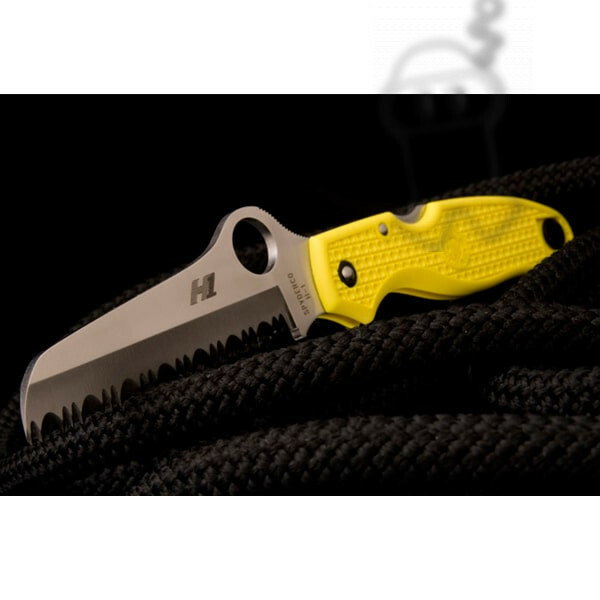 The hollow-ground blade offering remarkable cutting performance in and around fresh and saltwater. Textured with a Volcano Grip pattern, the molded fiberglass reinforced nylon (FRN) handle equipped with a reversible titanium pocket clip for right or left- handed use. It is recommend threading a thong or lanyard cord through the lanyard hole for back-up retention around water, where once dropped, a knife is often irretrievable or lost. It's been speculated the sheepfoot shaped blade originated with mariners who found the rounded tip especially beneficial when the knife was accidentally dropped as it couldn't stab the foot when hitting the deck. 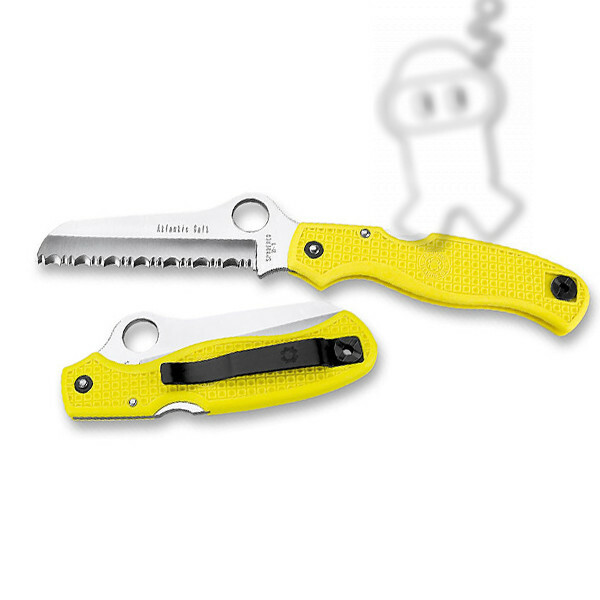 Do you have any questions about Spyderco Atlantic Salt?